In a strong condemnation of Customs and Border Protection’s (CBP) treatment of refugees, several organizations submitted a complaint to the Department of Homeland Security Office of Civil Rights and Civil Liberties (OCRCL) detailing the pervasive failure of CBP officers to properly screen individuals who fear persecution. The complaint supplements media accounts, and recent reports by Human Rights Watch and the American Immigration Council that document the woefully inadequate efforts by CBP to assist men, women and children who recently entered the United States access the asylum process. The National Immigrant Justice Center (NIJC), the American Immigration Lawyers Association (AILA), the Lawyers’ Committee for Civil Rights of the San Francisco Bay Area (LCCR) and other stakeholders joined in the complaint. Under current law, CBP has the extraordinary authority to order the removal of noncitizens through a streamlined process called “expedited removal.” If a CBP officer encounters any noncitizen within 100 miles of the border who is unable to prove, to the satisfaction of the CBP officer, continuous presence in the United States for the previous 14 days, CBP may order his or her removal without any review by an immigration judge. Although this rapid removal of noncitizens from the United States is rife with due process concerns, existing law contains some critical protections. CBP must verbally inform any noncitizen subject to expedited removal that U.S. law protects those who face persecution or torture. The officer also must create a record of facts and statements provided by the noncitizen, including answers to questions about the person’s reasons for leaving his or her home country and whether the person has any fear of return. If a person expresses any fear of persecution or torture during the interview, the CBP officer cannot proceed and must refer the person to the United States Citizenship and Immigration Services (USCIS) Asylum Office for a credible fear interview. Importantly, a noncitizen interviewed by CBP must do very little to meet this threshold. The NIJC report points to the CBP’s own officer manual stating that an individual may express fear “in any fashion” and does not need to mention certain words to trigger a finding of fear. According to the complaint, CBP is not honoring even these minimal obligations under the law. The complaint carefully documents how CBP’s screening process is “marred by careless errors, subversion of even minimal procedures, willful indifference, and, in some cases, outright intimidation or coercion.” In one case described in the complaint, a young man – KBS – suffered horrific abuse at the hands of his father in Honduras. After a CBP officer apprehended him at the border, he expressed fear of return to Honduras. The CBP officer did not acknowledge KBS’s statements and did not refer him to the Asylum Office. Instead, the CBP officer accused him of lying. When KBS explained that he was afraid of returning to abuse, the officer said that he didn’t care and that the young man did not have a right to fight for his case. KBS attempted to enter the U.S. a few days later and expressed his fear of return to a different CBP officer. This officer appropriately referred KBS to the Asylum Office, and now KBS is awaiting a decision on his case. The consequences of removal for asylum seekers can be fatal. 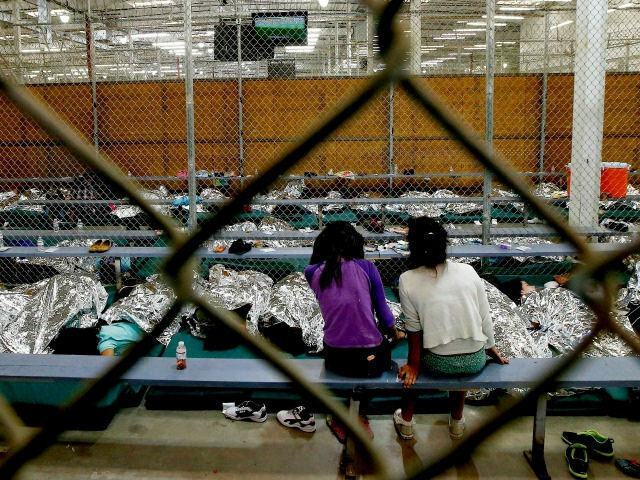 As the complaint points out, many women and young children with domestic violence claims or individuals with sexual-orientation claims are removed after inadequate CBP screenings to countries where they face extreme violence. In addition, inadequate screenings can have a far-reaching and devastating impact on asylum seekers’ future opportunities to remain in the United States. When CBP officers turn individuals away and order their removal from the United States, they effectively bar them from applying for asylum. When noncitizens return to the United States after expedited removal, immigration officers often will “reinstate” their prior removal orders. The noncitizen is then limited to applying for withholding of removal which has a higher standard of proof than asylum. OCRCL should take the complaint’s recommendations seriously and instruct CBP to improve training of officers so there is better understanding and compliance with the law; reinforce the message to officers that they cannot evaluate individuals’ asylum claims; and implement more robust oversight over CBP officers to ensure there are consequences when they intimidate or coerce asylum seekers.